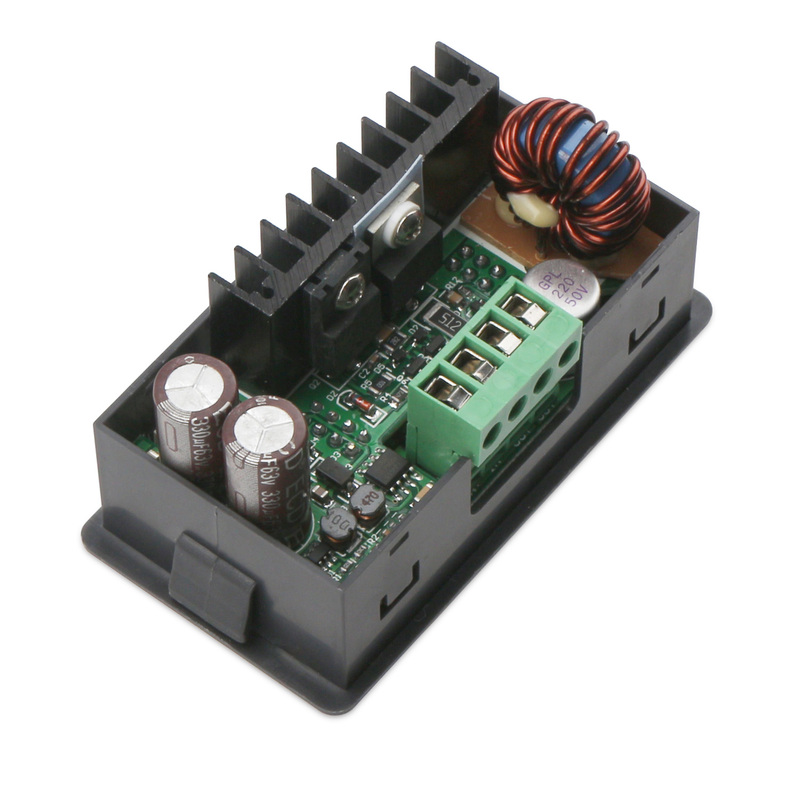 It is a 250W Adjustable Voltage Regulator/Power Supply Modul, Input voltage range: DC6~55V, Output voltage range: 0V~50V, Output current: 0~5A, This constant voltage and constant current programmable control power supply module has many advantages, small size, advanced function, good visual effect, high operability, high-precision, being used independently, being inset into the device and been widely applied. 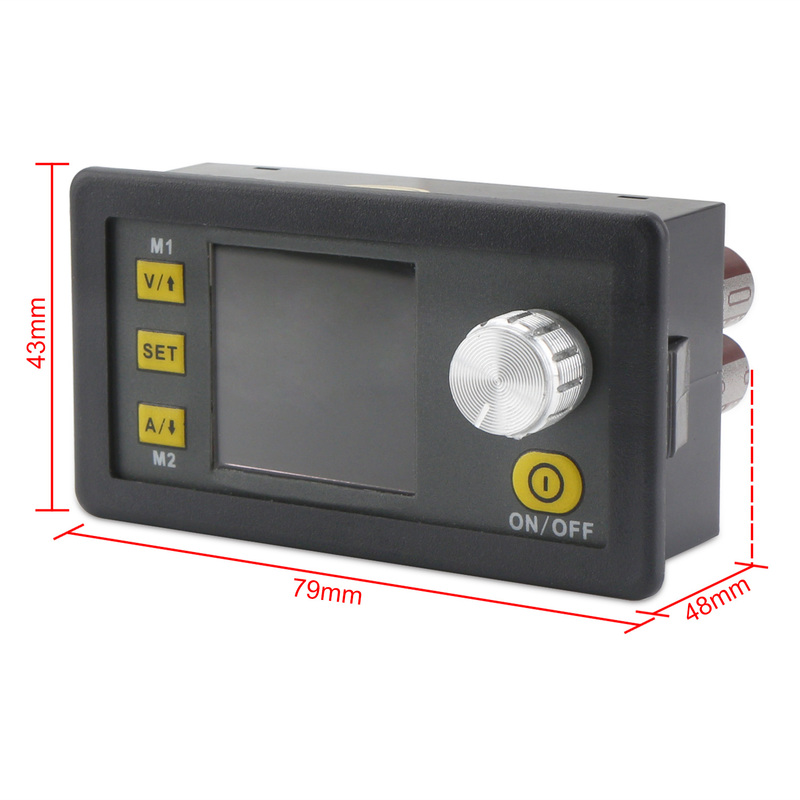 This constant voltage and constant current programmable control power supply module has many advantages, small size, advanced function, good visual effect, high operability, high-precision, being used independently, being inset into the device and been widely applied. 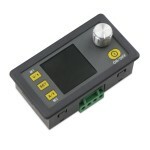 The module put the collection of analog integration and digital control functions in one. Its adjustable output voltage range is 0-50V, step by 0.01V. Its adjustable output current range is 0-5A, step by 0.001A. 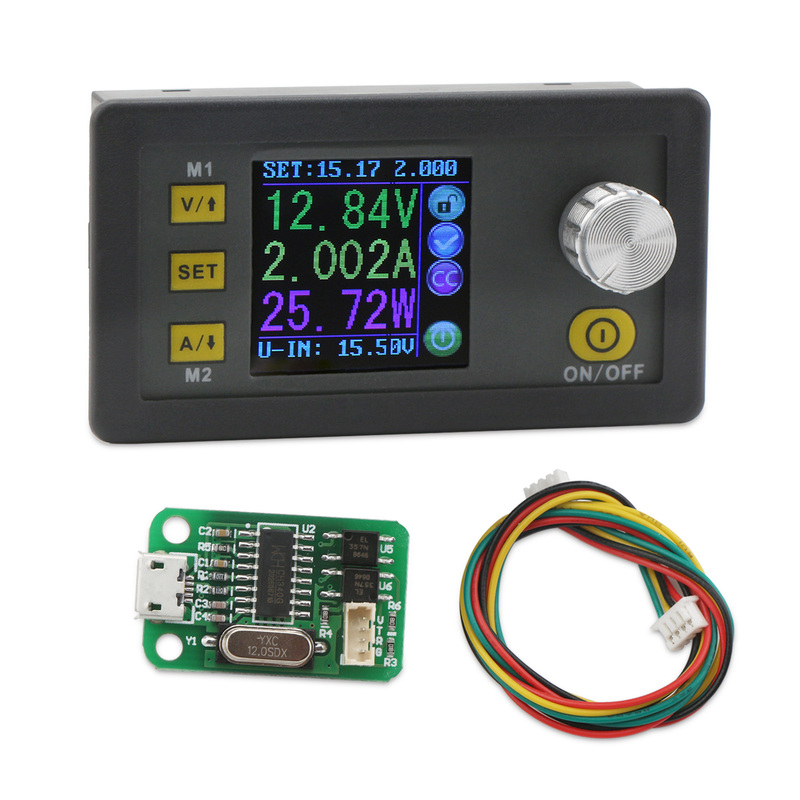 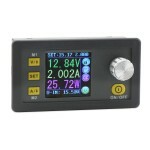 You can view the preset voltage, input voltage, output voltage, the preset current, output current, output power, etc. on the output state remind area, you can see that output opens or not, the state of constant voltage and constant current, output is normal or not, the key is locked or not, and the current data groups that is being used. 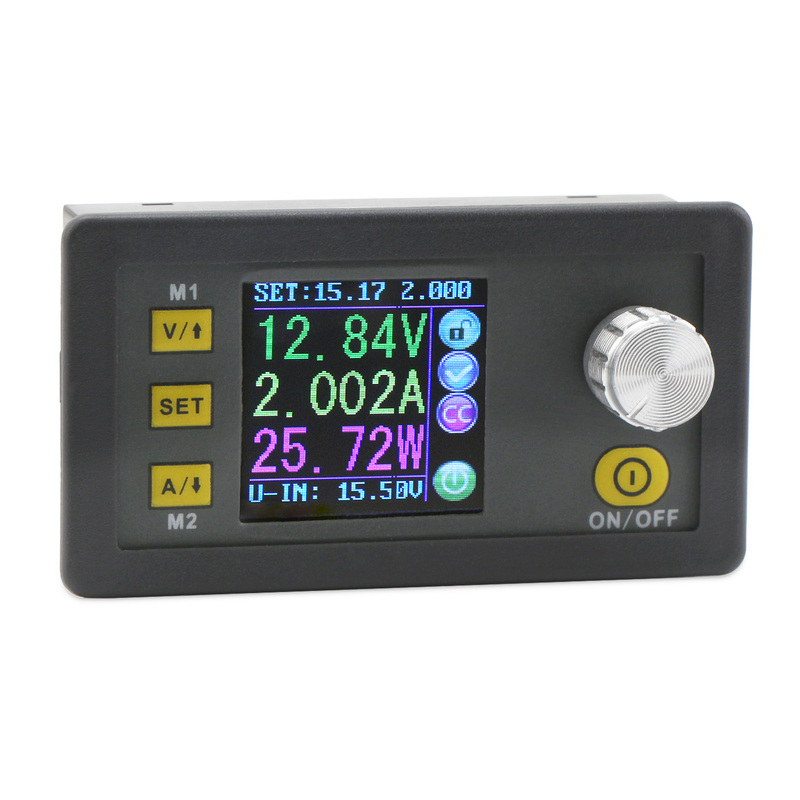 On the setting data interface, you can adjust overvoltage value, overcurrent value, over-power value, data groups, LCD brightness, etc. 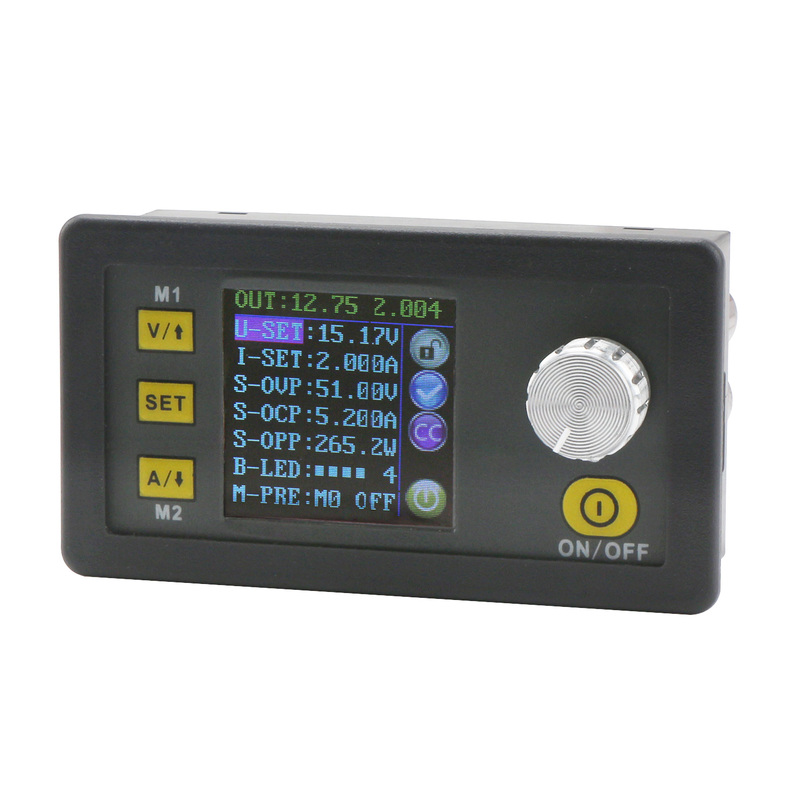 NOTE: You must make sure that the input voltage is 1.1 times higher than output voltage. Under large current circumstances, pay attention to heat elimination. 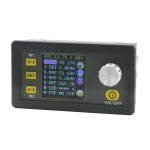 Note: Input voltage range is DC 6-55V and 55v is the limit voltage; please leave a room to use. Or else it will be burnt. 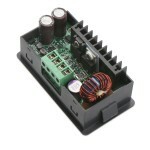 The input must be DC power supply, not AC 220V, or else it will be burnt too. 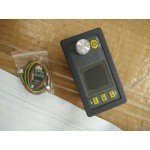 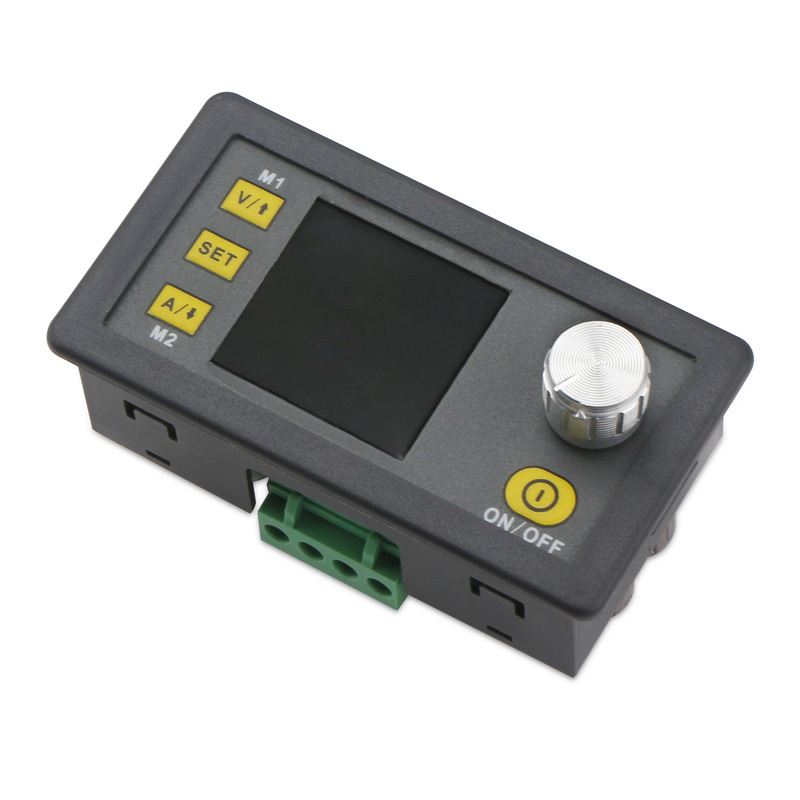 Though this module has reverse connection protection and output short circuit protection, you must be in strict accordance with connection description to connect. 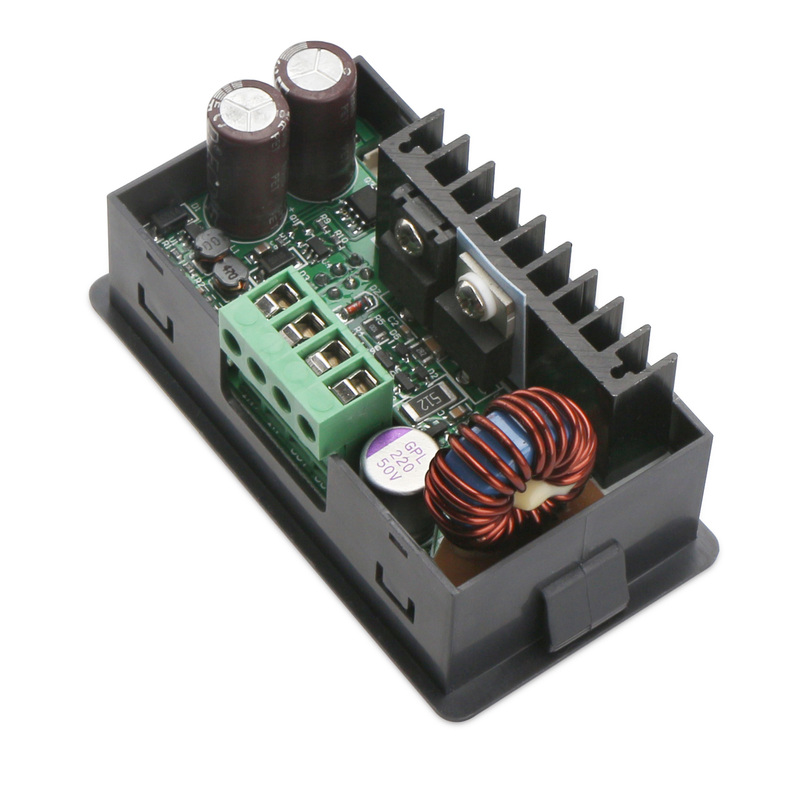 If you connect the supply power with output, the module will be burnt.